Register for the Valentine 5K & Kids Fun Run today! 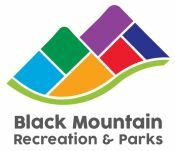 The 20th Annual Valentine Run 5K begins at beautiful Lake Tomahawk Park and visits three of the Black Mountain's Greenways. The course offers several challenging hills and ample flats to gain ground and time! The final 1/2 mile follows the gravel path around the lake and finishes at the Lakeview Center. Enter as a two person team or go solo. All participants are included in the Overall and Age Group awards. 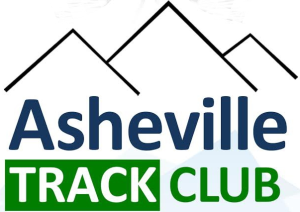 The 5K the first race in the Asheville Track Clubs' newly revamped 2019 WNC Grand Prix. Two Person Teams: Kick off Valentine’s Day week with a run with your sweetheart. Husband/Wife teams compete in one of four categories based on total age: Silver (80 & under), Gold (81-99), Platinum (100 - 119), and Titanium (120 & Over). Not married? Run with your Mom, Dad, friend, neighbor, or a stranger. Any two people can be a team. Everyone can be on a team. Awards go to the quickest 5K team in the following divisions: Husband/Wife (four categories) , Mother/Daughter, Mother/Son, Father/Son, Father/Daughter, Sister/Sister, Brother/Brother, Sister/Brother, & Open (any couple) - M/F, M/M, & F/F. Team scoring is based on the combined times of the two teammates. The teammates run at their own pace and do not have to run together. Team members are also included in the solo Overall and Age Group results and scoring. Kids Fun Run: Always a favorite the Kids ½ mile Fun Run one lap around Tomahawk. The path is free of traffic and monitored by race volunteers allowing kids to run freely with or without an adult support crew. All children participating will receive Valentine Fun Run medals. We encourage kids to wear Valentine costumes, as the “Spirit Award” will be given to the most outrageous outfit. The Kids Fun Run Starts at 9:30AM and is Free. We do ask that they register online by Feb 9th or onsite by 8:30AM on race day. The 💖💖Spirit Award 💖💖will go to the solo competitor and team with the most 💖💖 Valentine Spirit 💖💖. So remember this theme as you choose your running apparel for the race! 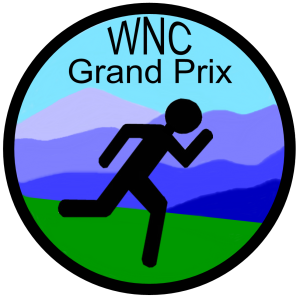 2:00PM – In the event of inclement weather in the greater Black Mountain metropolitan area on Race day Saturday - the Valentine 5K may be moved to Sunday.. Follow us on Facebook for weather updates. Want to RUN for FREE! Invite all your running buddies to join you at the Valentine 5K. For every 3 friends that sign up you'll get a $5 refund. Here's the deal... after you register a "Congratulations" message will pop up - click on the "Refer Your Friends" link. Share your special URL via Facebook, Twitter or email. For every 3 friends that sign up - you'll get $5 until your registration become FREE!! Share the fun to $ave! 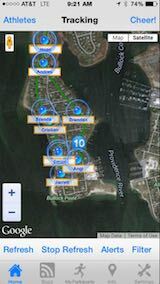 Make sure you download the RaceJoy mobile app for live phone tracking at the Valentine 5K & Kids Fun Run. 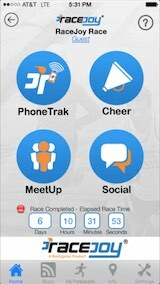 The Valentine 5K & Kids Fun Run is sponsoring RaceJoy to provide participants and spectators these features for free (normally a 99 cents upgrade fee for both the participant and spectator). The Valentine 5K & Kids Fun Run has a course map available.